When's the last time you had clam chowder in a sourdough bowl? 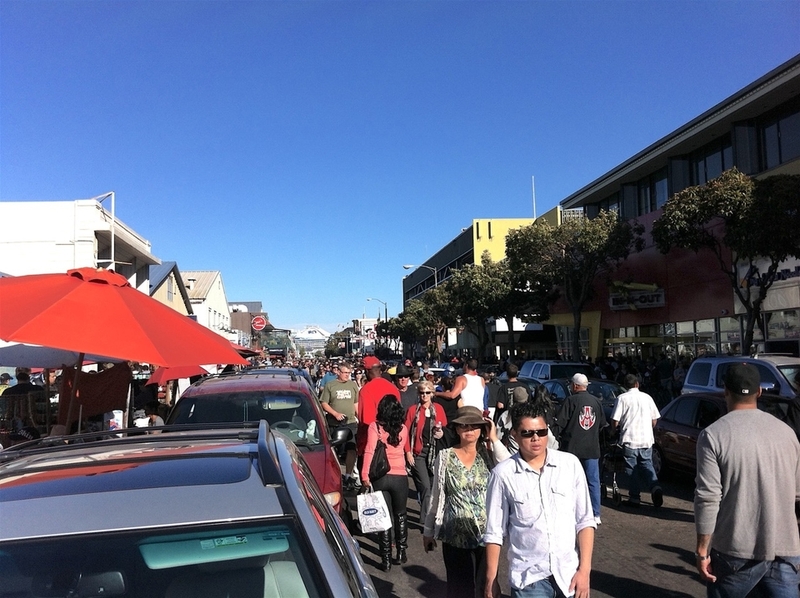 The Fisherman's Wharf Community Benefit District (FWCBD) today released a 70-page retail strategy report that outlines its vision for luring more locals to the city's top tourist destination. The comprehensive document, a year in the making, focuses on business, entertainment, appearance, safety, marketing and the public realm. It's packed with statistics and input from visitors and local stakeholders, including businesspeople and approximately 6,000 neighborhood residents. Troy Campbell, executive director of the FWCBD, said one of the main goals is to promote the neighborhood's uniqueness. "For residents, what can we do at the Wharf that appeals to them and brings them to the Wharf in an authentic way?" he said. 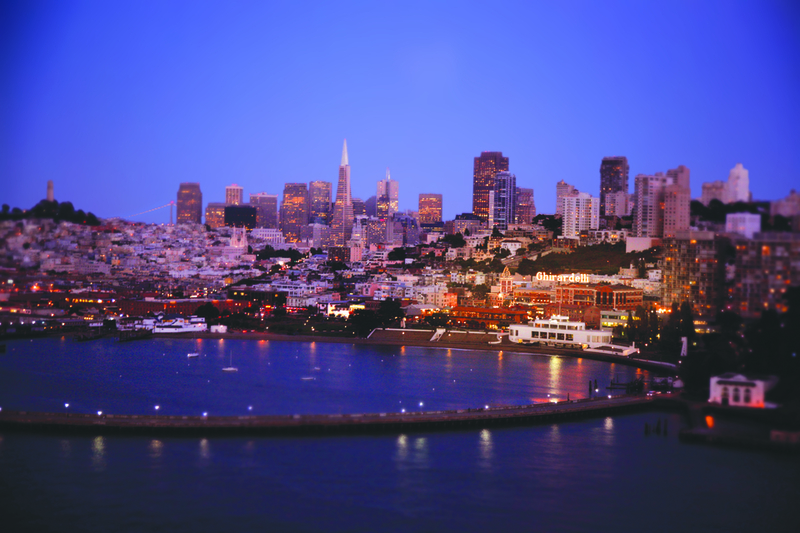 Last year, the Port of San Francisco began a pilot project allowing fishing boats to sell directly to consumers, and in the past few weeks, several more operators have gotten permits. Campbell said the FWCBD is working on organizing a pop-up market to allow easy access to the fishmongers "so you don't have to go searching around the docks to find them." Another focus, Campbell said, is on local businesses. The Gold Dust Lounge, Lefty O'Douls and the Cartoon Art Museum all have moved into the Wharf, and more local outfits are on the way, including Palette dim sum and a San Francisco Brewing Co. facility with a beer garden. "It's the only microbrewery in a huge radius for this part of the city," Campbell noted. The FWCBD also plans to beef up nightlife. It hosts bar crawls and is unveiling a "treasure map" in May with 20 participating bars and attractions. (A similar map is planned for the district's many art galleries.) A wine walk is scheduled in June. And to help promote nighttime activities, new and artistic lighting is planned. 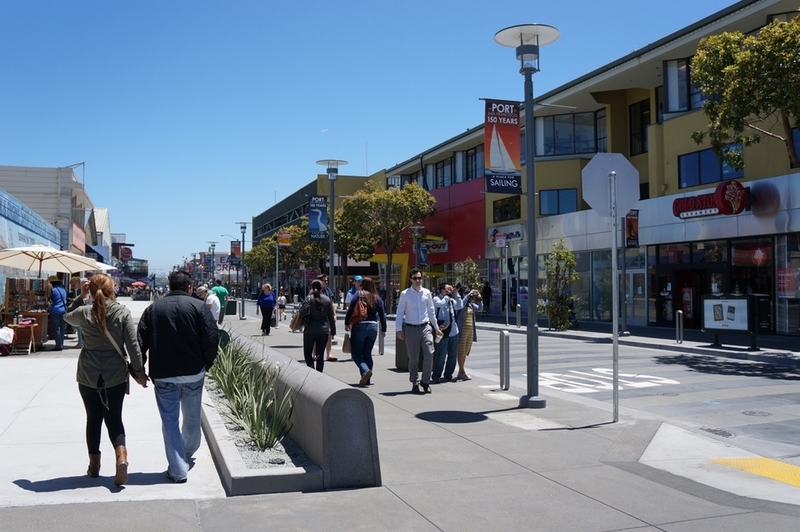 In addition, the Wharf has been getting makeovers over the past few years with street improvements and wider sidewalks along Jefferson Street, making it easier to traverse. And more street improvements are planned, pending funding. Jefferson Street foot traffic after improvements. | Rendering: Fisherman's Wharf CBD. 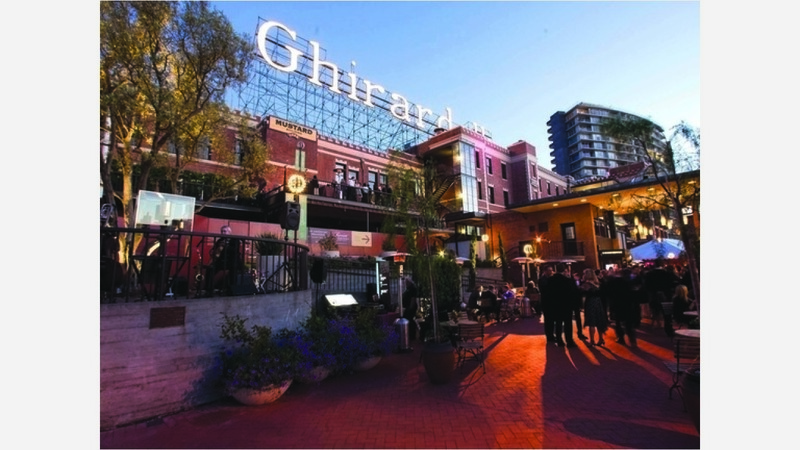 Noting the Wharf's $600 million in retail sales and $250 million hotel expenditures annually, Campbell said, "This is a big moneymaker for the city and helps build the city coffers, but we also have a responsibility to the residents to preserve its history and build its legacy as well." With this report, he added, "we have the structure in place to make it even better."